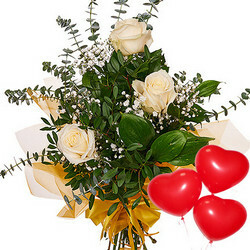 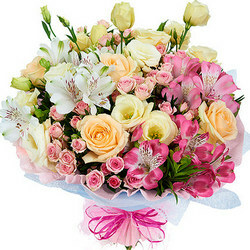 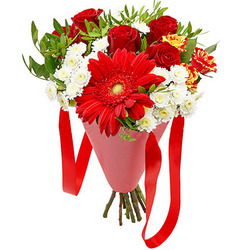 Mini bouquet will delight your recipient and give joy and positive emotions for the whole day! 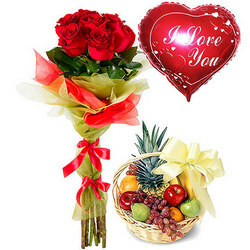 Hurry up to give your loved ones a good mood! 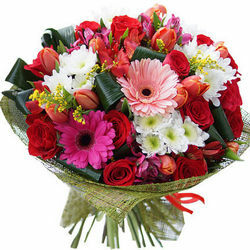 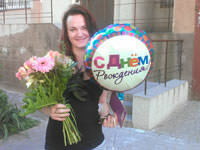 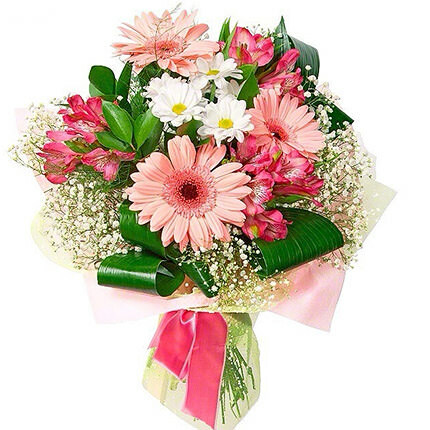 Сomposition: 3 pink gerberas, 3 alstroemerias, 3 chrysanthemums, greenery, decoration. 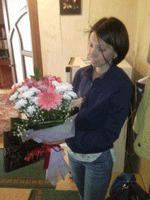 20032019 © Flowers.ua Bouquet "Hummingbird"